Grow your business by entering the next generation of digital printing with Primefire 106. Get ahead of the curve and enable your operation to master custom packaging, fast product launches, recyclability and environmental sustainability. Our new inkjet system in 70 × 100 cm format with proven Heidelberg Multicolor Technology enables truly industrialized digital printing. The innovative digital printing system combines the best of both worlds: flexibility and versatility of digital printing and reliability and precision of the Peak Performance class in offset printing. This is made possible through cutting-edge drop-on-demand inkjet technology powered by Fujifilm, Heidelbergs best in class sheet transport system, and of course full integration into the Prinect® workflow. Primefire 106 drives significant shopfloor process optimization. It not only enables you to master shrinking runs and increasing variants, but also to respond immediatley to changing customer requirements like different language versions, packaging sizes and last minute changes. Discover the efficiency and cost effectiveness for yourself. The 7-color inkjet system covers up to 95 percent of the Pantone® color space* in outstanding quality. The water-based fluids used are compliant with the Swiss Ordinance – a must-have for the production of low-migration food packaging. 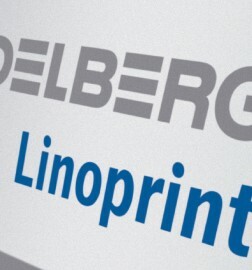 Count on Primefire from Heidelberg® – and partner with the best. Because it is the seamless integration of people, machines, services, and materials that enables us to provide an offering which raises the bar on performance. The facts at a glance. Exceed the expectations of your customers and grow your business through cost effective short run and variable data applications, stunning print quality and optimal production workflows. The proven Preset Plus feeder looks after all the format and air settings required for steady sheet travel. The conditioner prepares the substrate surface for the water-based inkjet printing and produces highest dot sharpness for a precise printing result. The jetting unit, powered by Fujifilm, offers space for seven printhead modules. The CMYK color space can be extended by orange, green, and violet. With the Heidelberg Multicolor Technology almost all common special colors are thus covered. The DryStar® drying system fully cures the ink and coating. This means that the sheet can go into postpress immediately without any loss of time. The conventional coating unit with CoatingStar® for pulsation-free coating delivery and integrated coating conditioning also is compatible with conventional offset coatings. Together with the Prinect Digital Frontend the Prinect Digital Center Inline features the proven Heidelberg operating philosophy and seamlessly integrates your machine into process flows. A particular highlight: With the Perfect Stack Technology only perfect good sheets are placed. Furthermore test sheets will be output directly to the operator panel at the push of a button. The press shown is a sample configuration and sample drawing. Some of the equipment features mentioned are optional.